Case Antiques, Inc. Auctions & Appraisals is proud to be a sponsor for this event! 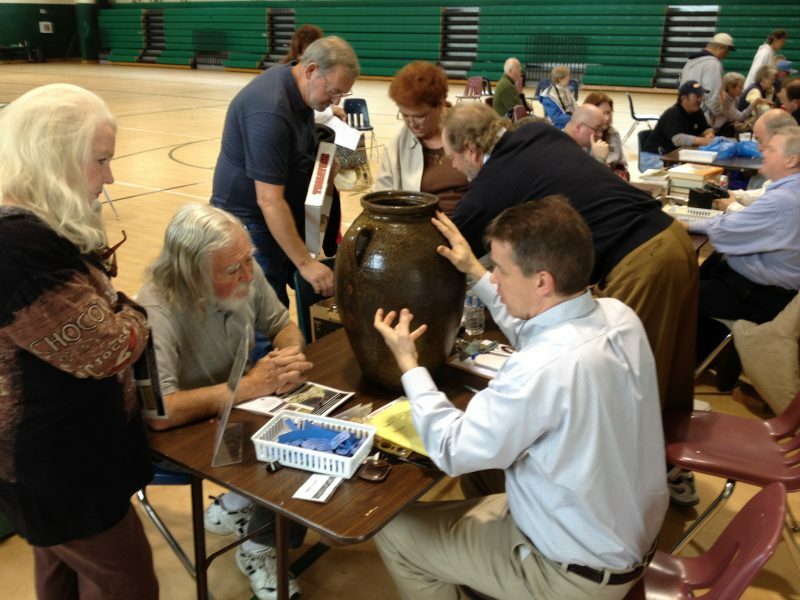 The event is March 23rd, 2019, from 9am through 4pm and includes 40 Antique Dealers from Georgia, North Carolina, Virginia, and Tennessee selling antiques and vintage wares. It will be held at the Greeneville High School, 210 Tusculum Blvd, Greeneville, TN 37743. For more information, email tkinser@greenecop.com or call 423-638-4111. Admission is FREE. There will be door prizes and concessions are available onsite. Evaluations are $5 per item. All evaluations/appraisals are verbal only and cannot be used for insurance or any other purpose. Two of Case’s accredited appraisers, John Case (AAA) and Len de Rohan (ISA), will be offering evaluations at the event. More information can be found on the Greeneville Tourism Website here. More information can be found on the Greeneville Tourism Facebook event here. John Case evaluating a large jar.